With over 200 stalls to visit at the Lincoln Christmas Market 2015, finding the perfect festive gift for a loved one or a little treat for yourself shouldn’t be too difficult. All stalls are worth a glance over, but if you’re looking for a more comprehensive guide, look no further than 10 0f The Lincolnite‘s favourites this year. Also check out our superguide for this year’s market. A range of fruit-based liqueurs made traditionally by a small family-run business with a keen interest in wildlife. 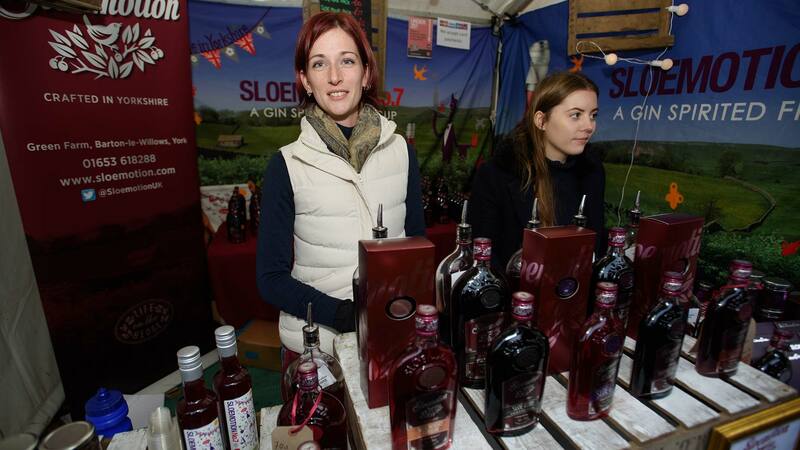 Caroline Conroy, said: “We started off making sloe gin as a bit of a by-product and it just took off. People were more interested in the gin than our bed and breakfast. 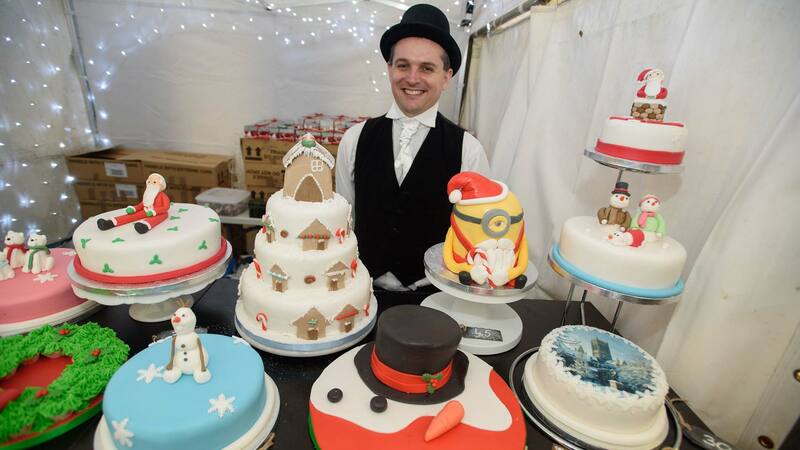 Festive fruit cakes, sponge cakes, minions, Santas, gingerbread men, all handmade and customised by a team of expert cake makers. Trevor Marland, one of the stallholders, said: “Every single thing on display is handmade here in Lincoln. We were here last year and it’s just amazing. 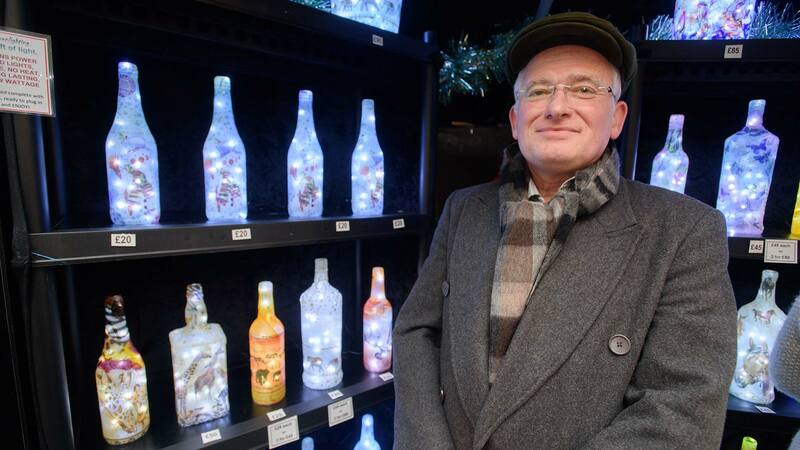 Quirkily designed recycled bottles, with LED lights drilled inside to ensure that they stand out from the crowd. 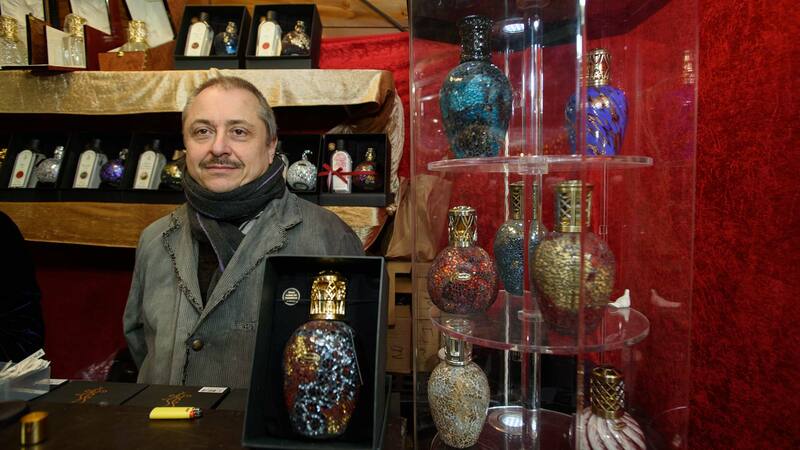 Ivor Keeley, a stallholder at Moonlighting, said: “Every single design is unique – there won’t be another bottle like it in the country. 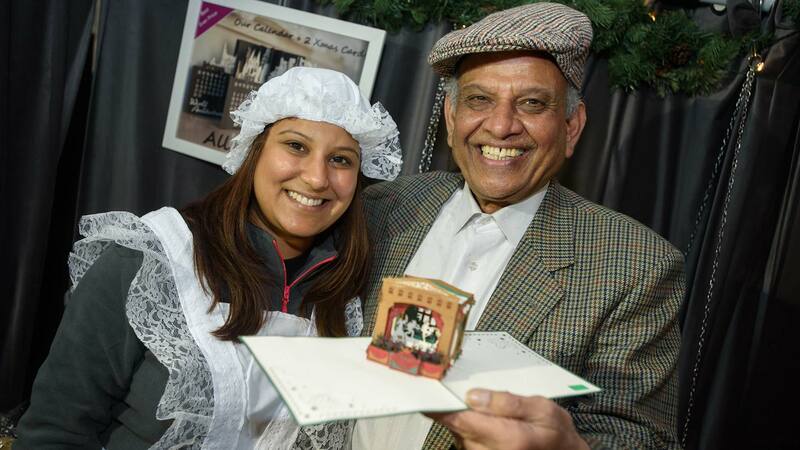 A new attraction at the market for 2015, check out a variety of skilfully crafted 3D pop-up cards and calendars. Dipa Shah, owner of Cardology, said: “They’re very intricate pieces of art, which are made by slotting little pieces of card together, and we then stitch them together. 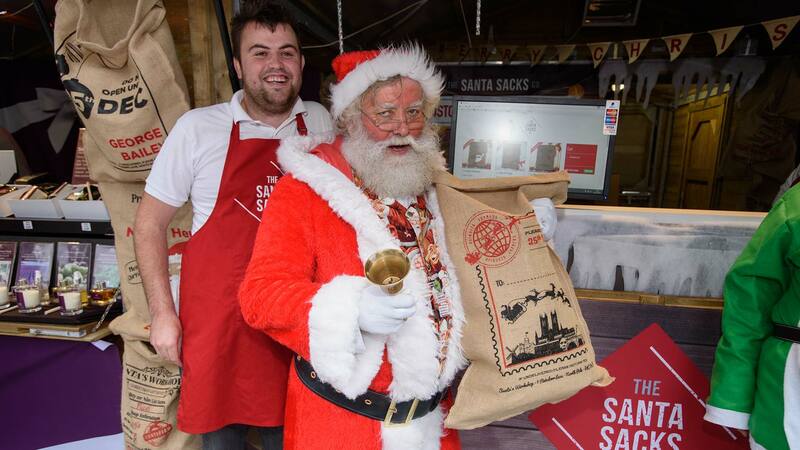 Personalised hessian Santa Sacks, a perfect way to present your Christmas gifts to family and friends, are making their first appearance at the Lincoln Christmas Market. 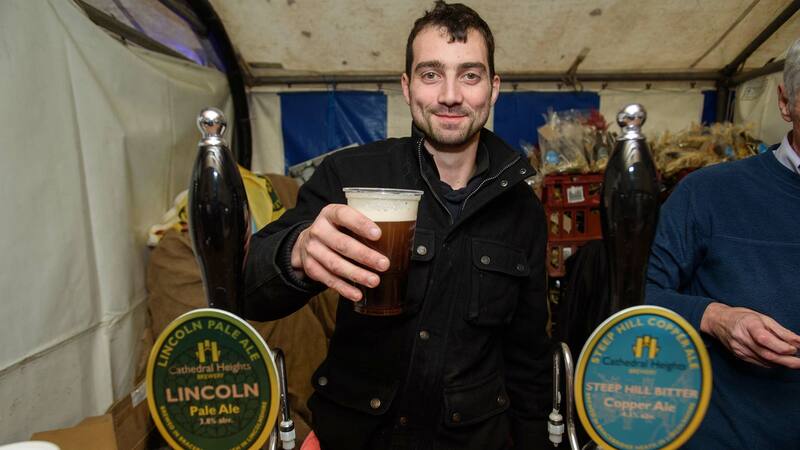 Three different, authentic real ales made by a local microbrewery, festive mulled wine, lager – what’s not to like? Elegant, artisan-crafted decorative are sure to add an instant glamour to your Christmas this year. 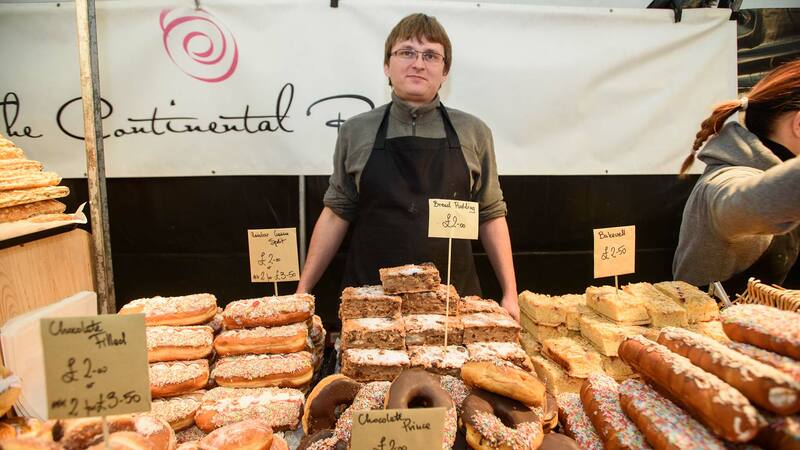 An old favourite, The Continental Bakery will leave you full, with a range of delights including glazed doughnuts, cheese bread buns, carrot cake and Oreo muffins. Matt Gawlik from the bakery said: “We’ve been here every year since I can remember. It’s very successful for us. Perfect stocking fillers for Christmas for less than £20 from the Guinness World Record holders. 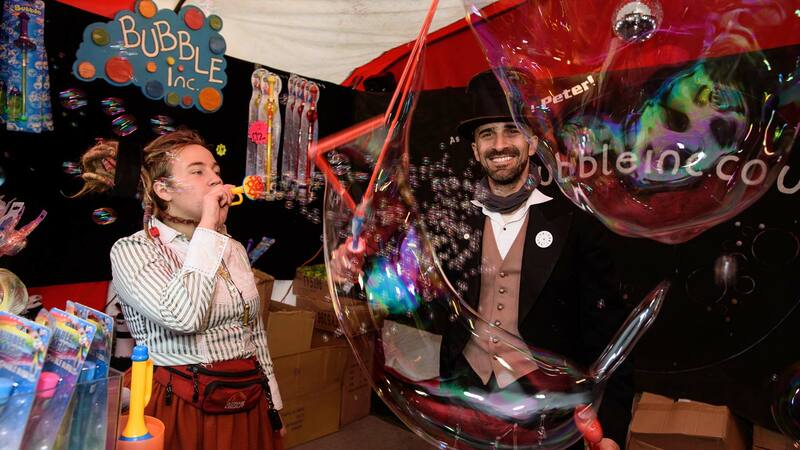 Take your pick of various bubble machines or wands to make a variety of patterns or even colours. 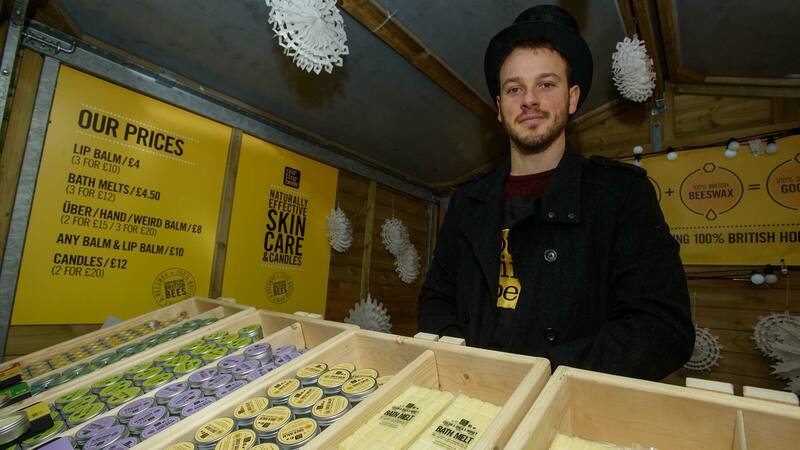 Right at the start of the market, visitors can check out a range of exotic and natural skincare products and candles, all of which are environmentally friendly.